All our support staff possesses fluency in ASL and English, and degrees in their field, which enable them to ensure that our students thrive in their academic and personal lives. Peer Advisors: Peer Advisors are a group of hand-picked students who meet the criteria to serve out the goal of the PA program to CARE, LEAD, and INSPIRE. 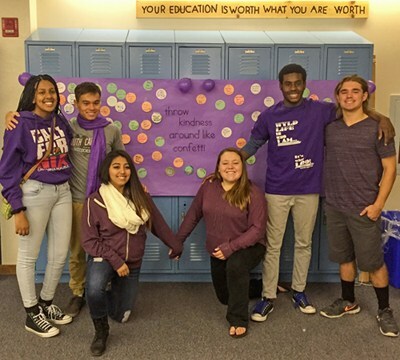 Through various projects and presentations led by PAs, students will spread kindness and social-emotional learning awareness on campus. The roles PAs must fulfill is designed to inspire other students to be kind, good-hearted, responsible citizens in the classroom and beyond.